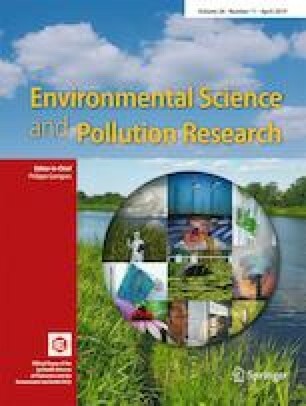 Increasing salinity levels in freshwaters due to natural and anthropogenic sources pose risk to exposed aquatic organisms. However, there is a paucity of information on how salinity may influence the effects of other chemical stressors especially psychiatric pharmaceuticals. Freshwater planarians which have been suggested as bioindicator species in aquatic habitats were used in this study to evaluate toxic effects of sodium chloride (NaCl) used here as a surrogate for increasing salinity, and its influence on the effects of the antidepressant, fluoxetine. Effects of NaCl on Schmidtea mediterranea were evaluated using survival, regeneration, locomotion, feeding, and reproduction as endpoints. Subsequently, combined effects of NaCl and fluoxetine on planarians’ locomotion and reproduction were also evaluated. Result showed that exposure to increased NaCl concentrations is toxic to planarians with 48 and 96 h LC50 of 9.15 and 7.55 g NaCl L−1 respectively and exposure to sub-lethal concentrations led to reductions in feeding (LOEC of 0.75 g NaCl L−1 or 1906 μS cm−1 at 20 °C) and reproduction (LOEC 3.0 g NaCl L−1 or 5530 μS cm−1 at 20 °C), delayed head regeneration (LOEC of 1.5 g NaCl L−1 or 3210 μS cm−1 at 20 °C), and also slight decreases in locomotor activity. Moreover, some developmental malformations were observed in regenerating planarians, as well as delayed or inhibition of wound healing and degeneration after fissioning and during head regeneration. A significant interaction between fluoxetine and NaCl was observed for locomotor activity and unlike planarians exposed to fluoxetine alone, fissioned planarians and their pieces from the combined exposure treatments were also unable to regenerate missing portions. Results show that S. mediterranea can be highly sensitive to low NaCl concentrations and that this stressor can alter the effects of fluoxetine. The implication of these effects for planarian populations in the natural habitat is discussed as well as the need for more research on the effects of neuroactive pharmaceuticals under relevant exposure scenarios. The online version of this article ( https://doi.org/10.1007/s11356-019-04532-4) contains supplementary material, which is available to authorized users. We thank FCT and POPH/FSE (Programa Operacional Potencial Humano/Fundo Social Europeu) for the research contract under the program “Investigador FCT 2015” of João L. T. Pestana (IF/01420/2015). Pearl U. Ofoegbu acknowledges Tertiary Education Trust Fund (TETFUND), Nigeria through the Federal University of Technology, Owerri, Nigeria for doctoral grant. Also, we acknowledge the Portuguese Foundation for Science and Technology (FCT) for the individual grant to Diana Campos (SFRH/BD/87370/2012). Prof. Francesc Cebrià and Prof. Néstor J. Oviedo are acknowledged for providing S. mediterranea with which we established our laboratory culture and useful information for establishing the cultures, respectively. This study received financial support from CESAM (UID/AMB/50017 - POCI-01-0145-FEDER-007638), from FCT/MCTES through national funds (PIDDAC), and the co-funding by the FEDER, within the PT2020 Partnership Agreement and Compete 2020.